England and Scotland are through to the know out stages at the Socca World Cup in Lisbon. The inaugural event is hosted in a purpose-built stadium in the historic Praça do Comércio in central Lisbon. Scotland go through to the last 16 as the winners of Group C. Scotland defeated China in their first match 2-1, then beat Belgium 3-1 before drawing with local rivals Wales 1-1. 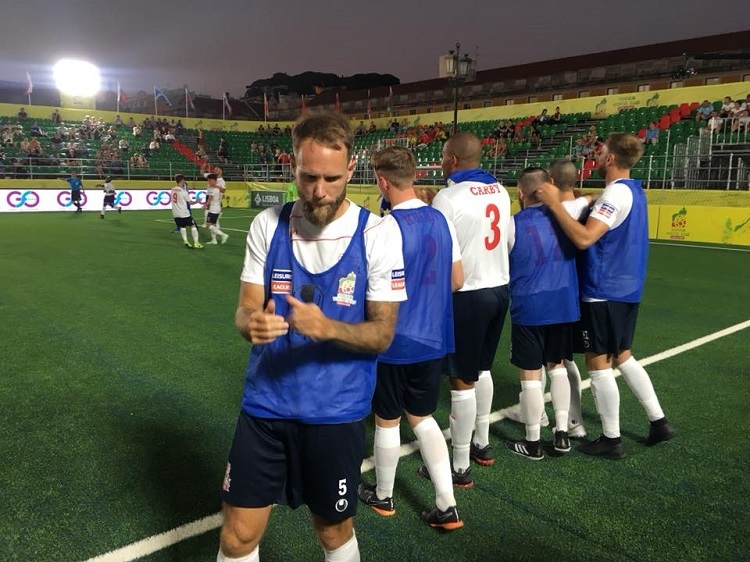 England are runners up of Group E after losing to USA 4-1 but beating Slovakia 3-1 and Kazakhstan 5-0 to secure their space in the knock out stages. England face Brazil whilst Scotland take on Canada in the last 16 stage.